Chemical researchers at Penn State and Shinshu University report they’ve managed to isolate strong, stretchable graphene oxide fibers that are easily scrolled into yarns and have strengths approaching that of Kevlar. The fiber can be then further refined to act as a powerful and lightweight electrical conductor or can be directly used as a higher power cable. First, the team made thin films of graphene oxide by chemically exfoliating bulk graphite. The oxide was then mixed with water and concentrated by centrifuges into a thick slurry, which was then spread across a large plate. Following drying, a large transparent film remains which can be lifted off easily without tearing. The film is the base material from which narrow strips are cut. From there on it all resumes to knotting and stretching the strips using a fiber scroller. One huge possible industrial application is in electronics. 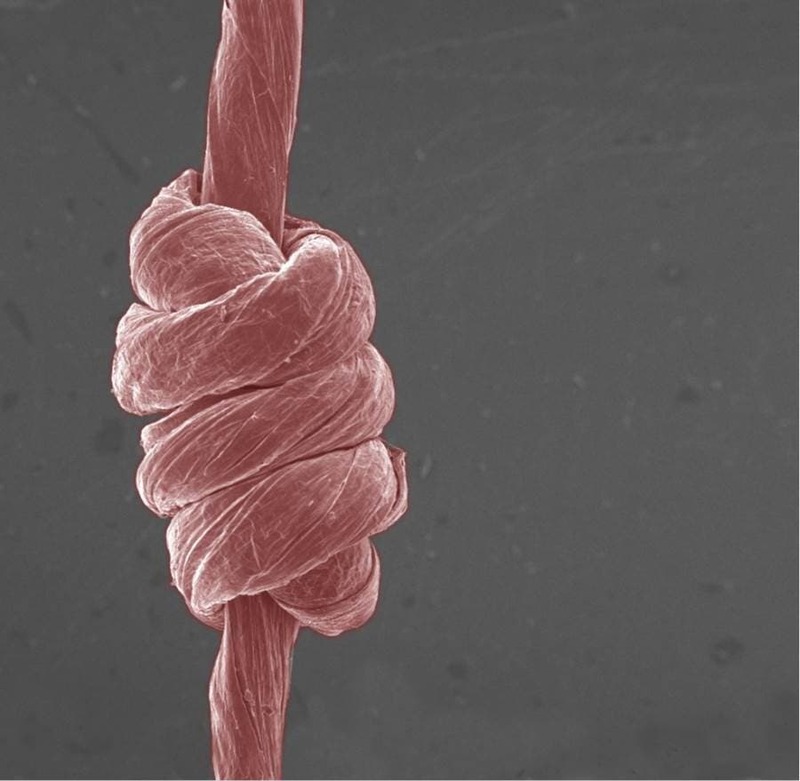 The graphene oxide yarn can be further refined by having its oxygen removed to make it electrically conductive. Adding silver nanorods to the graphene film would increase the conductivity to the same as copper, which could make it a much lighter weight replacement for copper transmission lines. Highly sensitive sensors are a first thought. The paper appeared in journal ACS Nano.